In your "My Apps" section, select the app you want to publish and click on the "Publish" link. Now choose the "Android Markets" option in the publishing section. 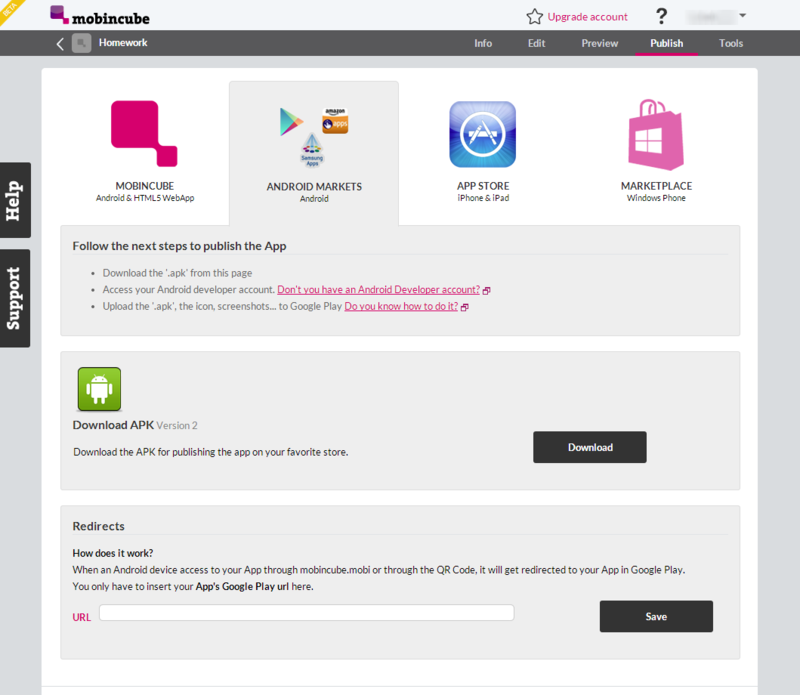 Click on the "Download" button to get your "APK" file. Now, you only need to upload it to your favorite markets. You can publish on Google Play from here.